For someone who is not Japanese or lived in Japan, a visit to Tsukiji Fish Market in Tokyo is a MUST. 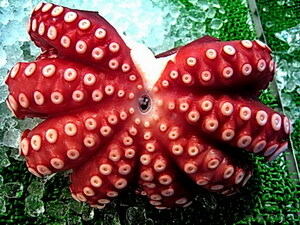 The variety of Sea creatures from the sea around Japan and elsewhere, considered edible, is almost alien to me. Unlike some fresh markets, this one is clean, well-lit and does not smell too bad. It even made me a mouth-watering carnivour just seeing the fish, and nearby you can sample the seafood in a reputable sushi restaurant. Tsukiji gets my vote as one of the most fascinating markets in the world. Get there before everyone else, at 4am.